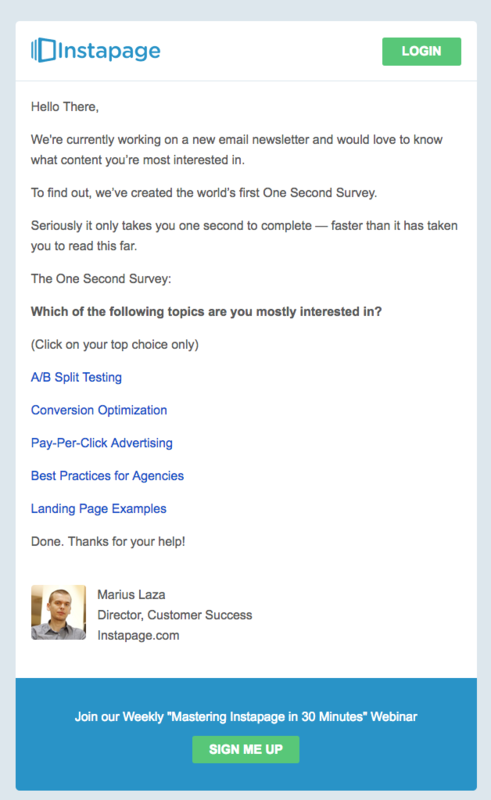 A one-question survey email allows readers to take immediate action in their inboxes. When just one question in the body of an email, it’s easy for subscribers to respond and easy for you to collect valuable data! 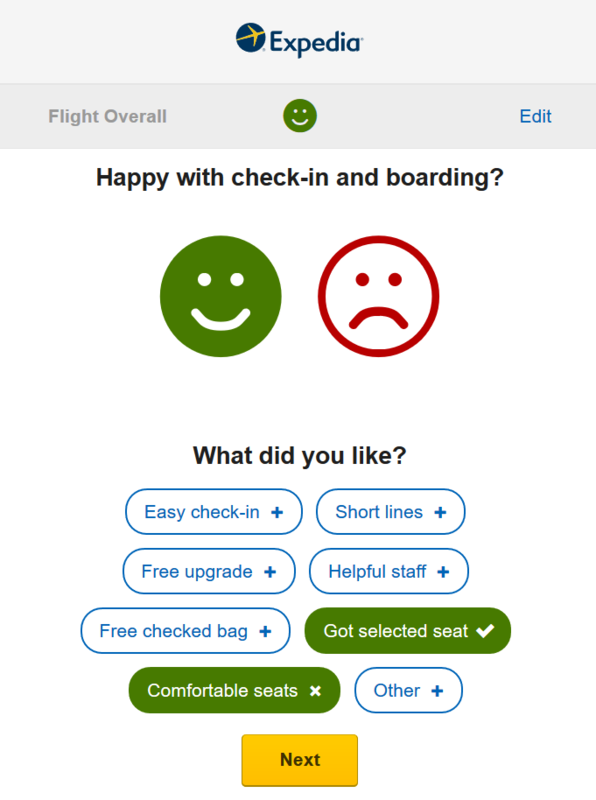 Let’s take a look at some examples of fun and simple one-question surveys that use a mix of images and text. Check out this no-fuss feedback survey from Expedia. It asks one question. 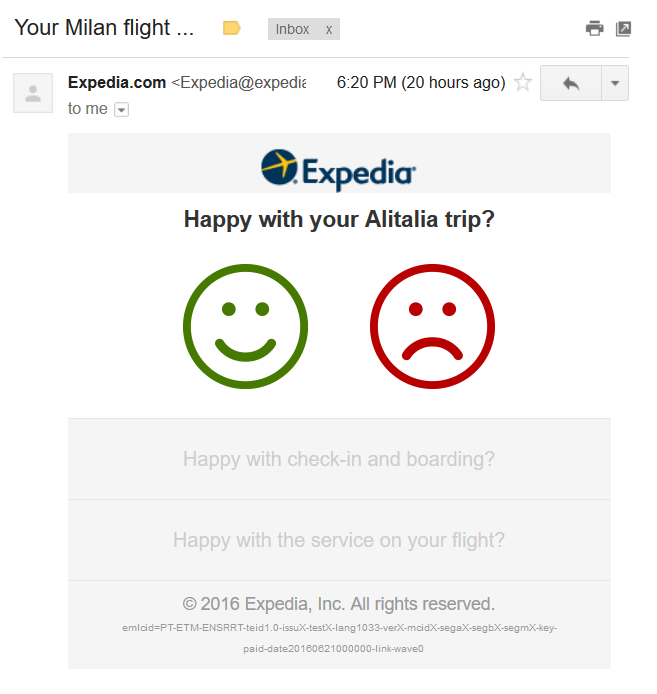 And just by tapping on the happy or sad face, readers can let Expedia know about their travel experience. Subscriber convenience. Readers can simply tap to respond right in their inboxes. Plus, with only one question, it’s incredibly easy for readers to participate. Better engagement. 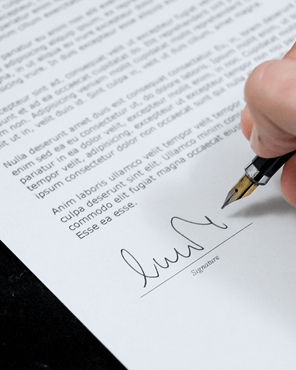 Since there’s just one question and it’s easy to enter an answer, it’s likely the response rate will be higher than if readers responded to a survey on a separate landing page. Easy to assemble. 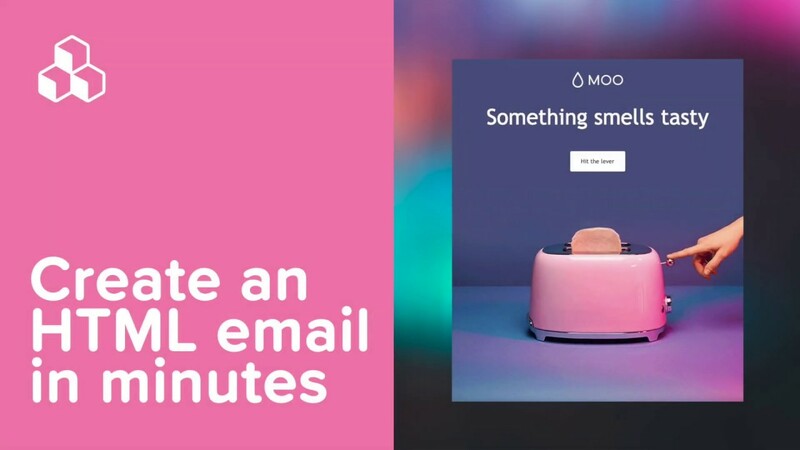 Creating a single-question survey email is fast and easy. You can quickly design one and start collecting valuable data immediately. Here’s the truth behind the one-question survey email: You don’t need a special tool to create and embed a survey. All you need to do is link the text or images to your survey. Take the Expedia email, for example. The happy and sad smiley faces are simply linked images placed side by side. Clicking on either image takes subscribers to a landing page where their answer is pre-recorded. They are also invited to share more feedback and answer two more questions. Even if a reader does not continue with the survey, the initial response is still tracked. In a true single-question survey, the link readers tap might take them to a page that simply says, “Thank you for your feedback!”. Or, for users who chose the sad face, they may see another page that says, “We’re sorry to hear that. Let us know what went wrong,” with an option to submit feedback. 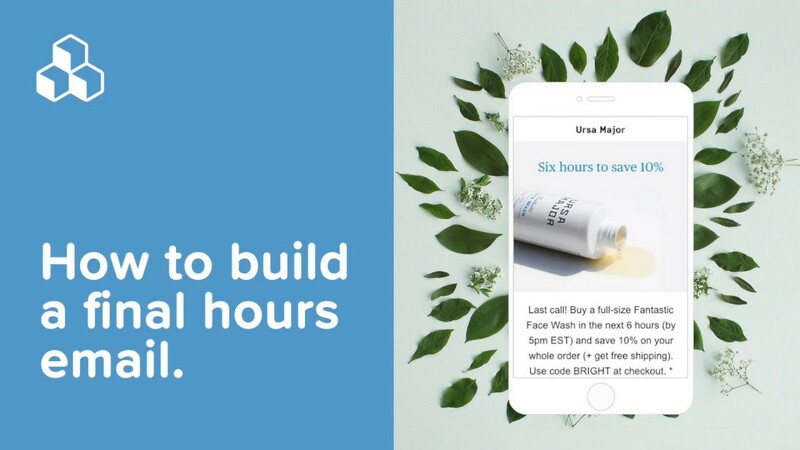 In summary: the one-question survey email is designed by asking readers a question and inviting them to directly tap the linked text or images within the email. 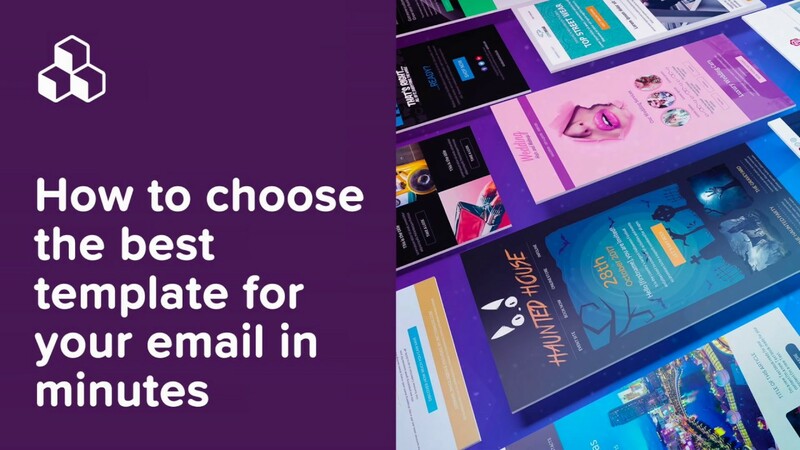 You can also get more tips about sending successful survey invitation emails and check out our list of 21 email design tools to transform your emails. Today we’re going to show two ways of creating a one-question survey: (1) link survey URLs to images, text, and buttons in an email, or (2) embed a question via a survey tool (Typeform) into an email. We’re going to use the BEE editor to demonstrate how easy it is to build a one-question survey email. BEE is free, online, and requires no registration. For a wider variety of beautiful templates and additional features, upgrade to the BEE Pro account (start with a 15-day free trial; afterward, the tool is available for $15/month). 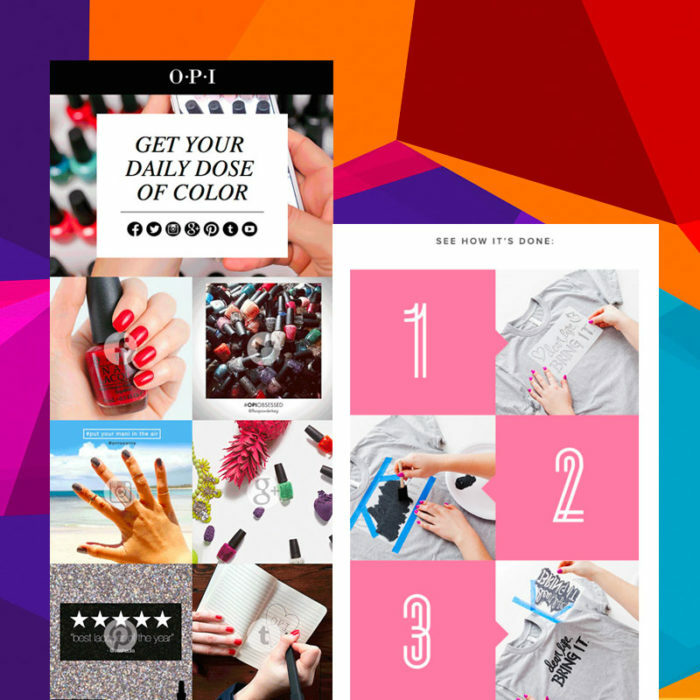 All emails designed on the platform are mobile responsive. Let’s start by building the Expedia email. 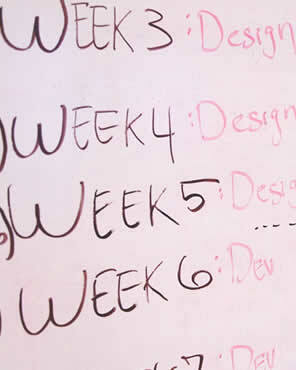 Because it has a simple, single-column format, we’ll start building from scratch in a one-column template to begin. Now, update the text and drag-and-drop the chosen images. If you’re using images, be sure to include ALT text, too, so users with image-viewing turned off can still respond. ALT text can be edited in the same menu as the URL. One benefit of using text instead of images is that the email has a better text-to-image ratio. This means it’s less likely to fall into a spam folder or lose responses from users who have image-viewing turned off. 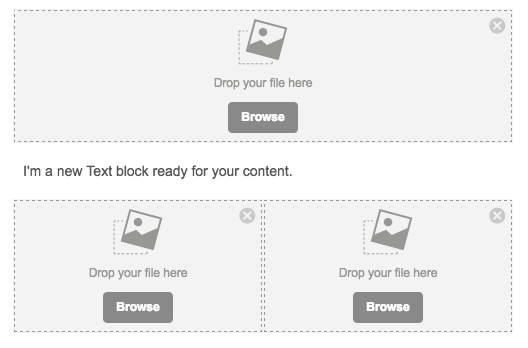 All buttons in the BEE editor are bulletproof and responsive, so they’ll appear more reliably in inboxes than images. And, buttons are more attention-grabbing than text! 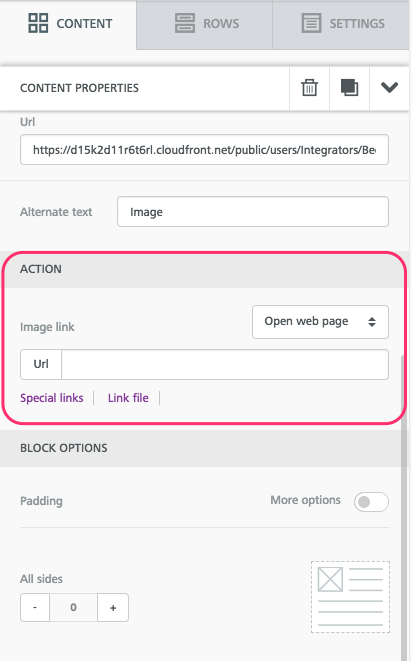 As with images, don’t forget to link the buttons by adding the link URLs from your survey tool in the right-hand menu in BEE. Perhaps the easiest way to add a built-in question to your email is to design it in a free survey tool like Typeform, then embed the question in an email. 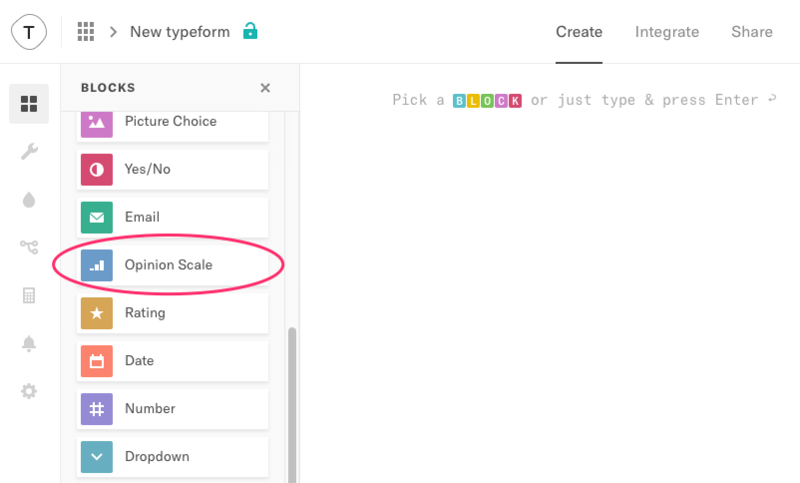 This way, Typeform will record and collect data so you won’t have to build that yourself on the backend. Here’s how! 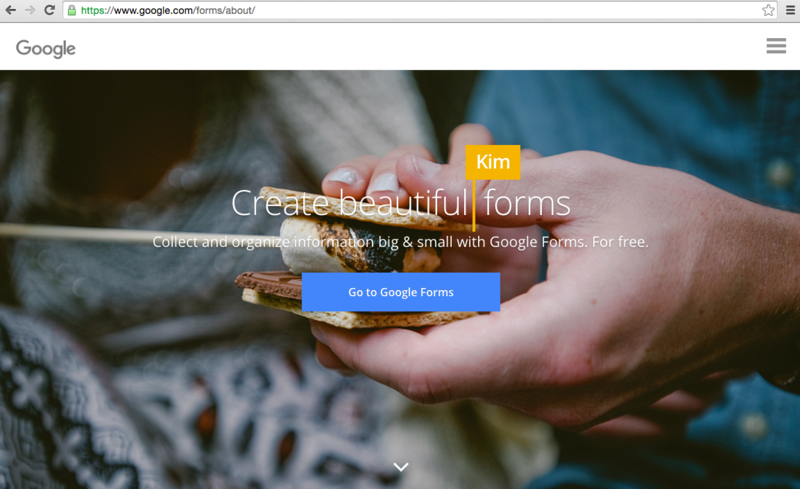 You can sign up for a free Typeform account and begin right away! 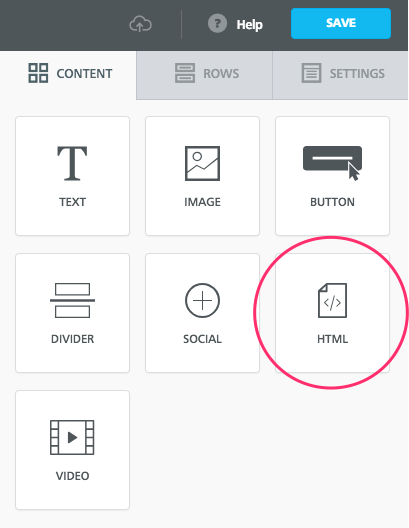 From the home page, click the upper right button to create a new Typeform. Then, choose the Opinion Scale block. 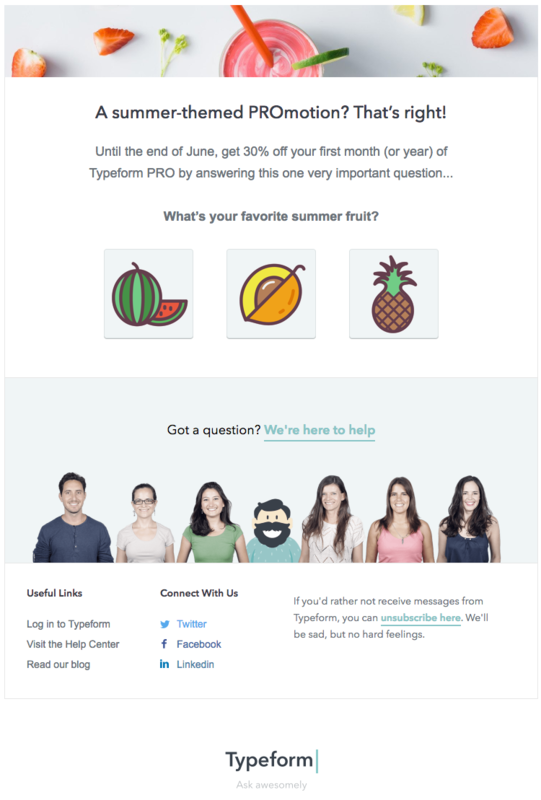 (Note: this question type is the only option for embedding in an email via Typeform right now). Once you are satisfied with your customized question, click Share from the menu at the top, then navigate to the Email tab. 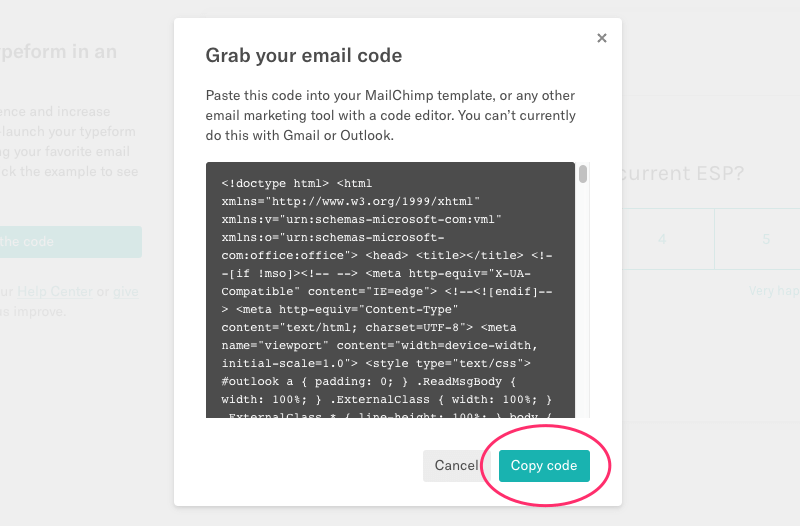 Click the Get the code button and copy to your clipboard. 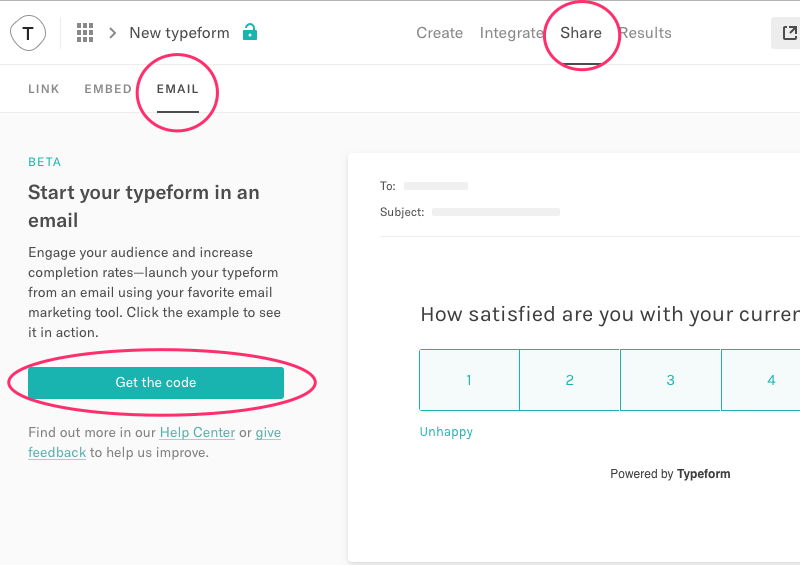 Tip: Typeform also provides a great how-to for embedding questions in email. 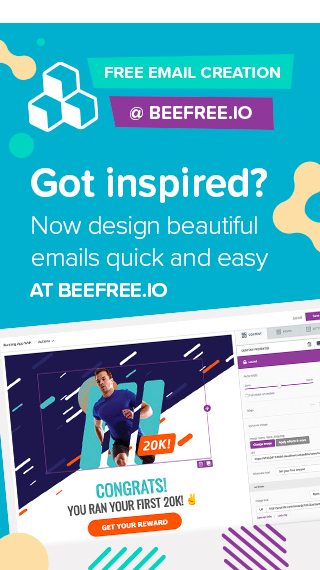 Open the BEE editor and build your email as usual. When you’re ready to embed your survey question, drag in an HTML content block. Paste your code from Typeform into the window on the right, and voilá! Your question will then appear in the editor. Now, you can finish designing and send the email as usual. Yes, it’s this easy! Check out more free online tools you can use to embed questions in email or set up a survey for follow-up questions. 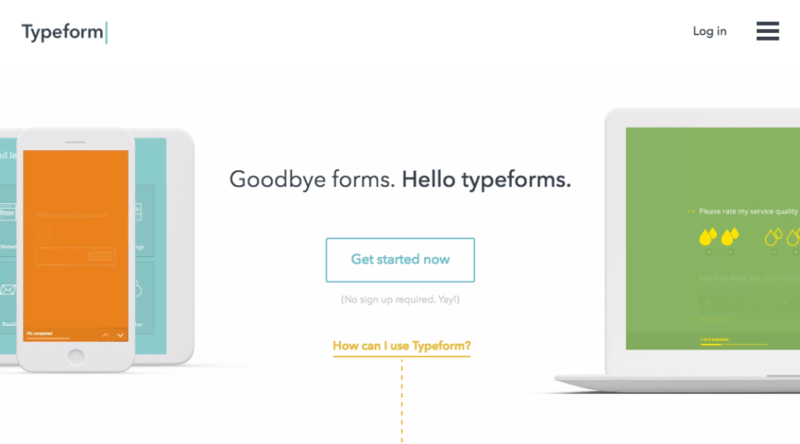 Typeform allows users to build online forms, surveys, quizzes, landing pages, and much more. 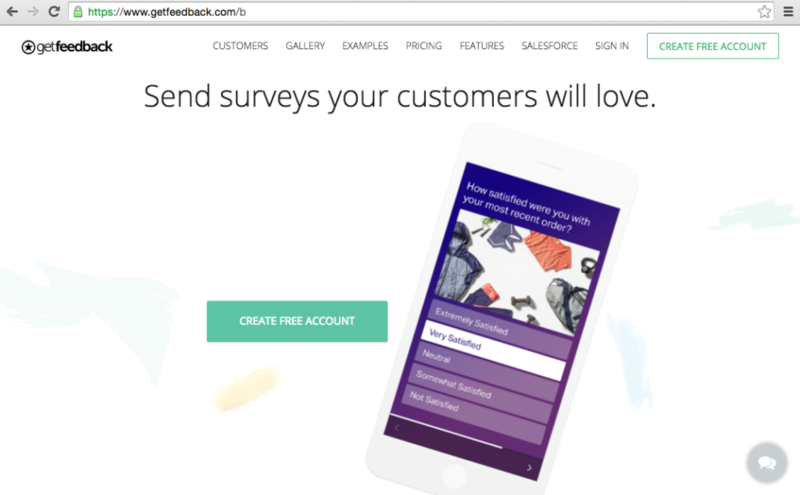 GetFeedback allows anyone to create surveys that display on smartphones, tablets, and browsers. Google Forms allows people to collect votes from friends, survey co-workers, or gather poll data into a sheet. Have you ever created a one-question survey email? Let us know the design approach you took and the response you received from subscribers.